Once fall rolls around, we begin to see pumpkin flavor in almost everything, especially breakfast foods--from pumpkin-spiced latte to pumpkin donuts, to spiced pumpkin muffins. But how about bringing the ubiquitous taste of autumn to our morning routine without adding all of the fat? 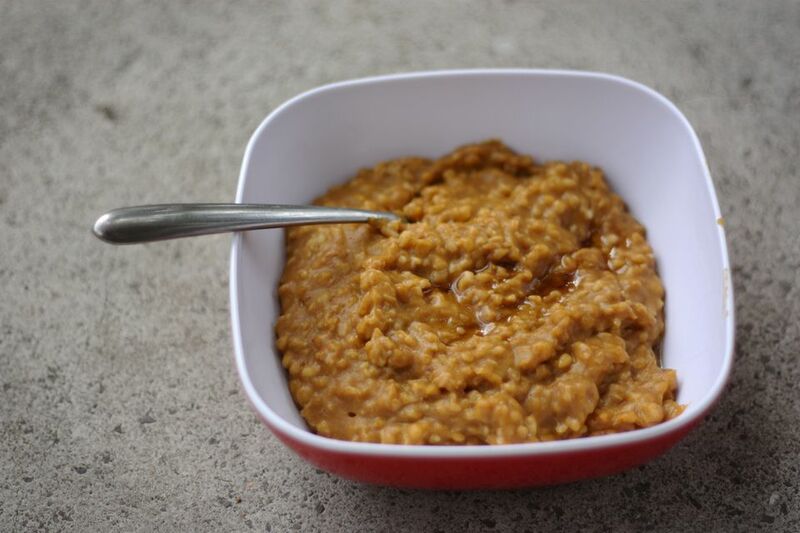 Here is hearty but healthy oatmeal with a fall flavor that sticks to your ribs. And if the only way your kids will eat oatmeal is when it is loaded with sugar, this may also be a great way to get them to eat oatmeal that is good for them while being satisfying and delicious. And with the seasonal pumpkin twist, they will think of it as a treat. We all know around Thanksgiving time how we only use half of the ingredients we bought to make traditional dishes such as pumpkin pie. This recipe is ideal for using up those leftover ingredients as it includes canned pumpkin and pumpkin pie spice. Place oatmeal in a large microwave-safe bowl and stir in milk. Remove from microwave and stir in pumpkin puree, pumpkin pie spice, and cinnamon. Heat for 40 to 60 seconds, or until heated through. Stir in raisins. Sweeten with brown sugar if necessary and enjoy. Bring milk to a boil over medium-high heat in a medium saucepan, observing to make sure it doesn't boil over. Stir in oats, lower the heat to medium and cook for about 5 minutes. Add pumpkin puree and spices and stir until heated through. Taste to see if brown sugar is necessary. Stir in raisins just before serving.